With the Tales Festival 2009 only 10 days away, Namdai has finally listed out the Tales merchandise they will have for sale on the event. - i.e. can be a towel and a muffler (scarf) at the same time. - comes in 13 designs. - comes in 2 designs, one ToV, one ToH. - comes in 3 designs which have a two different designs on each side. - Black shirt, comes in Small, Medium and Large. - White shirt with the Knights' emblem. Comes in Small, Medium and Large. - Blue shirt with the Aspio City emblem. Comes in Small, Medium and Large. - Black shirt with the Zaphias emblem. Comes in Small, Medium and Large. - Yuri-themed black shirt. Comes in Small, Medium and Large. - Estelle-themed pink shirt. Comes in Small, Medium and Large. - Flynn-themed white shirt. Comes in Small, Medium and Large. - Rita-themed yellow-orange shirt. Comes in Small, Medium and Large. *Designs here are merely design images. Please be informed that the actual product may look different from the designs. *NEW! Buying both the end=START and Tales with misono singles will earn you these special original posters. *NEW! 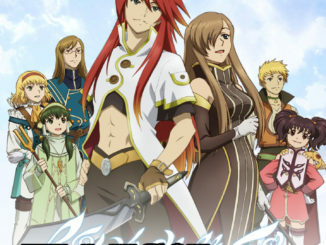 Buying the end=START single will earn you this Tales of Original Clear File. - Music CD only package of GIRL NEXT DOOR's album, Infinity. 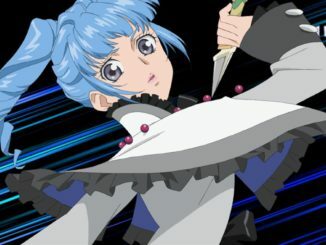 This is not Tales of VS.'s theme song. (Tracklist image) *NEW! Both packages of the Infinity single will come with a sheet of Tales of Logo Stickers. - Six available designs, Stan Aileron, Leon Magnus, Rutee Kartret, Lilith Aileron, Kyle Dunamis and Reala. 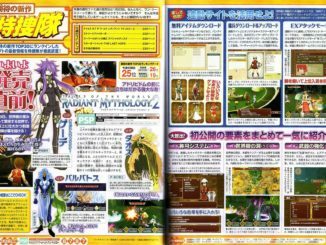 - Scenario book for Tales of the Abyss (the game, not the anime). 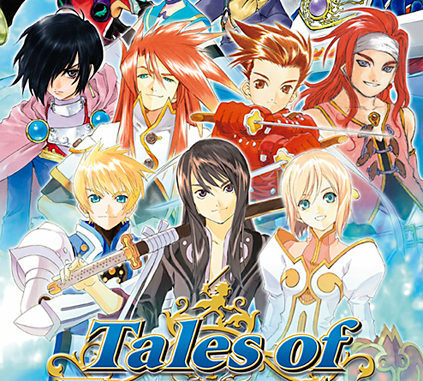 - Official event DVD of the 2008 Tales of Festival.